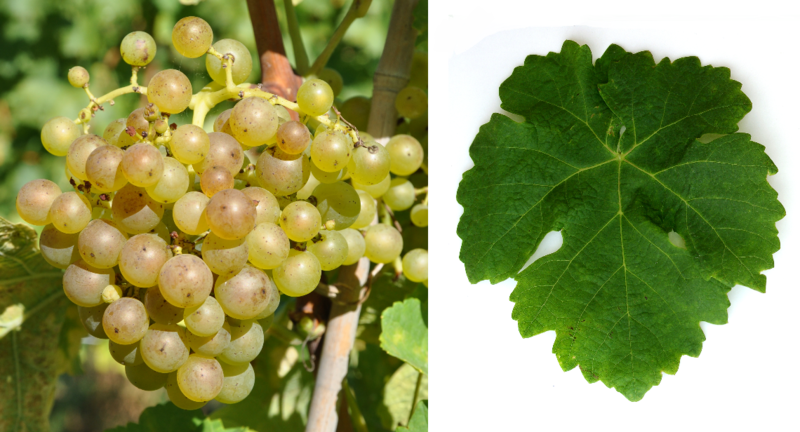 The white grape comes from France, It is probably after the eponymous municipality in the department Drôme named. Synonyms are Avilleran, Avilleron, Ermitage, Hermitage Blanc, Hermitage, Grosse Roussette, Malvasia Bianca di Lucania, Marsan, Marsanne Belyi, Marsanne Blanche, Marsanne Drome, Marzanne, Rousseau, Roussette Grosse, Roussette Saint-Péray and White Hermitage. It may, despite seemingly suggestive synonyms or morphological Similarities not with the variety Roussanne (Petite Roussette), which was made after 2010 DNA analysis a Parent-offspring relationship consists. The medium-maturing, high-yielding vine is prone to the real mildew and Botrytis, It produces full-bodied, golden yellow white wines with moderate acidity and varied aromas of almonds, honeysuckle and pears. The variety was first mentioned in 1781 in a text about the white varieties of the area Hermitage. It is mainly at the Rhone grown, where they are, for example, in the fields Côtes du Rhône. Crozes-Hermitage. Hermitage. Saint-Joseph and Saint-Péray is allowed (but not Châteauneuf-du Pape). Often she will join Roussanne and / or Viognier blended. Marsanne is one of the varieties in the region typical Rhône Recipe, In France, it occupies a total of 1,362 hectares with an upward trend. There are more cultivated areas in Italy where the variety in DOC wine Colli Piacentini is allowed (55 ha), in Portugal and in the Switzerland (48 ha). Overseas, she is represented in Argentina (1 ha), Australia (238 ha), Chile (17 ha), Canada (2 ha) and Uruguay (2 ha), as well as in the US states California (38 ha) and Washington, The acreage in 2010 was 1,762 hectares, 10 years before it was 1,512. This page was last modified at 13 January 2019 at 14:18.